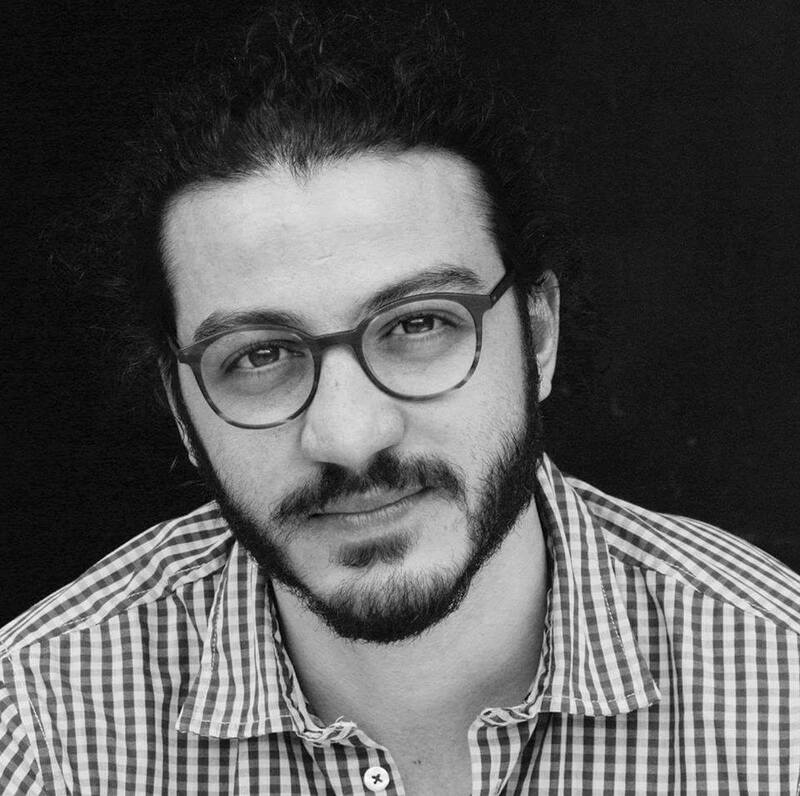 A young Kist man named Musa, who was present in the audience, pointed out that the war in Syria lost its appeal after it became apparent that it was connected to interests of major political powers. 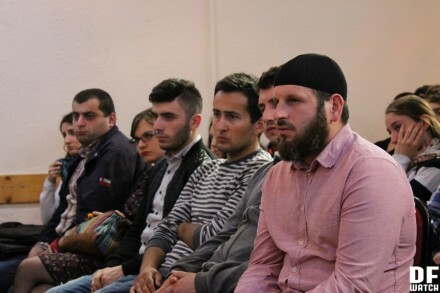 Tbilisi, DFWatch – A Salafi imam from Pankisi valley met with Georgian public in order to explain the community’s views on religion, the role of the state, the role of media, sources of radicalism, and gender equality. 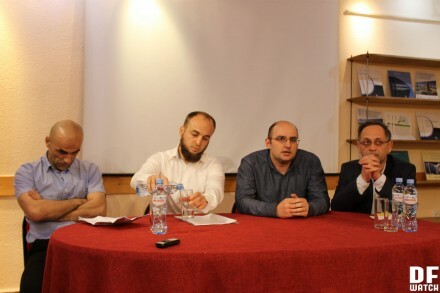 On 16 May, an open discussion called Salafism in Georgia and the world: Theological and political aspects was hosted in Tbilisi by NGO Caucasian House. 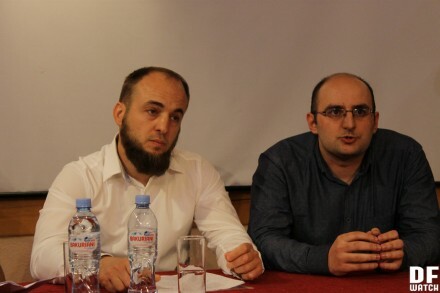 The event was attended by three speakers who discussed the history and contemporary situation of the Salafi movement in Georgia and abroad: Giorgi Sanikidze, the professor of the Ilia State University, Gela Khmaladze, the independent researcher, and Abdurrahman (Vakhtang) Pareulidze, the Salafi imam based in Pankisi valley and director of the Organisation for Education, Culture, and Development of Georgia’s Muslims. The discussion was moderated by the researcher, Revaz Koiava. The event attracted large public interested and was attended by representatives of Kist and Azerbaijani Muslim communities. 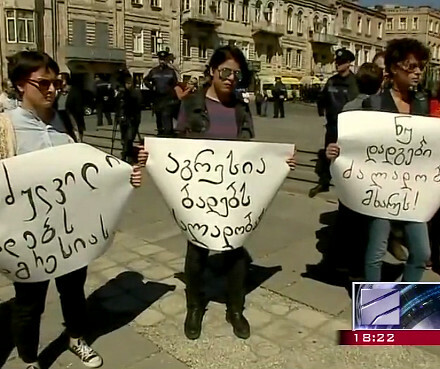 Caucasian House’s employee, Maia Urushadze, who was responsible for the event’s organisation, told DF Watch that it was important to bring first-hand information about the Salafi community to the Georgian public. : Abdurrahman Pareulidze (left) and Revaz Koiava. ‘The general public associates Salafism and Pankisi valley with terrorism due to limited mass media coverage, although the majority never met a Salafi person. We had an opportunity to invite a leader of this Muslim community to ask him direct questions, to hear his point of view, and to build our own opinions’, Ms Urushadze said. At the beginning of the discussion, Giorgi Sanikidze gave a historical background to the Salafi movement and argued that it wasn’t correct to consider it one of major Islamic denominations. ‘Salafism is neither something static or a school of thought. One can’t also put Salafism in the same ranks with Sunnism and Shiism. Salafism is more of a theological ideal with roots in Sunni Islam which is nowadays shared by many Muslims in the world’, Mr Sanakidze said. Mr Sanikidze also pointed out that it wasn’t correct to equal the Salafi movement with terrorism. ‘In one view, there is a small group of Salafis — although not only — who are jihadis, terrorists. However, the majority of the population is peaceful and doesn’t get involved in politics. Finally, there is a part of Salafi population which engages in politics, but it doesn’t mean anything bad. One of groups associated with Salafism received approximately 25 percent of votes in Egypt’s 2011 elections’, Mr Sanikidze said. Gela Khmaladze delivered a presentation in which he argued that the reason that there is a violent component among the Salafi community in the North Caucasus stems from the fact that there are unaddressed systemic injustices coming from the Russian state. ‘Salafism became a victim of manipulation on behalf of the Russian authorities. There is widespread sentiment that fundamental Islam brought violence to the North Caucasus. The violence was instigated by the authorities’ incorrect approach towards Salafism and its artificial radicalisation. 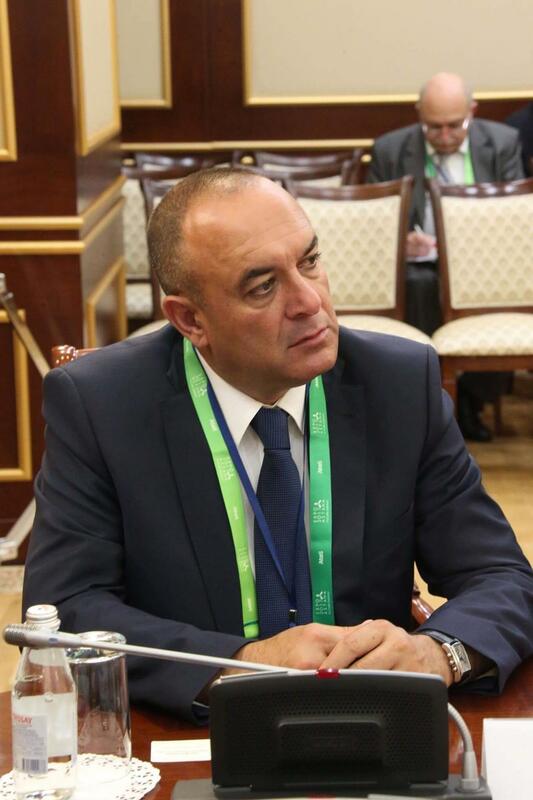 The community was used for political reasons by the security services and by local North Caucasian political and business circles’, Mr Khmaladze noted. ‘In the North Caucasus, Salafism was a resistance to the unjust state, lack of democracy, unfree society, the Russian authoritarian regime, unlawfulness, unaccountability of the law enforcement, the corrupt and clan-based system. In Salafism, North Caucasian society saw first of all justice, personal freedom, equality, and more chances for self-realisation’, he said. Ali Badirov, the chairman of the Association of Azerbaijani Lawyers of Georgia, commented that the event was dedicated to Salafi propaganda. 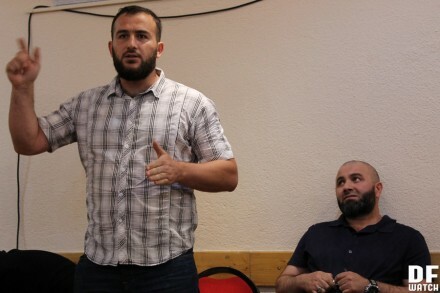 During his presentation, Abdurrahman Pareulidze noted that the Salafi movement can be identified with Sunnism, the other name for which is Ahl as-Sunna wa l-Jamaa [‘people of the tradition of Muhammad and the consensus of the Umma’], which is firmly rooted in the sunna and the Quran, and follows the correct interpretation of Islam, which has been corrupted by other movements and denominations. ‘During the times of Ahmad ibn Hanbal, it became important to come up with a denomination for true followers of Islam, as many groupings who misinterpreted it appeared, including the Shia, the Khawarij, the Mutazila, the Murjia, and others. In order to refer to the true followers of Islam, the term Ahl as-Sunna wa l-Jamaa was coined’, Mr Pareulidze explained. He explained that the term ‘Salafi’ meant ‘followers of ancestors’ and refers to people who follow the strict tradition of correct interpretation of the Islamic doctrine. ‘I am Salafi and it means I am a correct follower of Islam. I understand Islam the way Abu Bakr [the first Caliph] who lived at the same time as Prophet Muhammad did. I don’t take from or add anything to Islam’, Mr Pareulidze declared. Mr Pareulidze blamed the lack of Islamic education in the Soviet Union for creating a situation in Pankisi valley where local population followed religious practices which couldn’t be justified by the Islamic doctrine. He pointed out that the situation changed with the availability of internet and the emergence of local religious schools (madrasas), where people can educate themselves about the correct understanding of Islam. ‘Anyone who wants to support the community must let them to receive religious education, because uneducated Muslims are weak and easily manipulated. Many problems found in the Muslim community, whether in Pankisi or worldwide, are related to the lack of religious education’, Mr Pareulidze said. Mr Pareulidze argued that increased interest in Islam helped the local population to fight the drug crisis which plagued the community in the 1990s. He pointed out that today, criminality or drug abuse are issues that are unheard of in the valley. He also blamed political groups of interests and media’s selective coverage for causing tensions in the community. ‘These domestic and foreign interest in Pankisi coming from state structures and media is intensified by the global situation of Islam. I want to stress that the majority of journalists, especially the foreign ones, come to the valley with the context of their coverage decided upon in advance. It fosters the false stereotype according to which Pankisi is inhabited by unemployed radicals and terrorists which travel to the Middle East to fight’, Mr Pareulidze said. He also said that while it was understandable that the state is working on safeguarding its security, it was unacceptable to breach people’s right to exercise their religion, which leads to the community’s alienation, and to apply collective responsibility for wrongdoings of some of its members. ‘Islam isn’t a religion which was born today. It has a long tradition which brought progress to the world’s cultural development. The problem doesn’t lie in Islam, it rather has socio-economic and political roots. Let’s take the issue of hijabs and beards. Many journalists came and said women were oppressed by wearing hijabs. Wearing it is never oppression. It’s how we safeguard our women. We’re proud of the fact that they’re wearing it go around covered. A good fruit is always covered. If you put a peeled orange on the table, it will turn bad immediately. I’d like to ask people who say that wearing hijab oppresses women about one thing. The situation of women in Pankisi is great. Nowadays, because of unemployment, men in [Georgian] villages drink, while women work day and night. Where are human rights and women’s rights organisations in this case? More than 200 thousand women left Georgia to work. Their husbands are here and receive money from their wives in Italy or Greece. Is this how women’s rights are protected?’ Mr Pareulidze argued. He then pointed out that the state needed to be more involved in preventing Muslims from becoming terrorists by fighting systemic discrimination. He also said that religious authorities should never be appointed by the state, as it currently is in case of muftis. ‘Many things were done wrong towards Georgia’s Muslim community. Let me bring up the example of a pig’s head nailed to a madrasa. Not a single case was investigated. What are the authorities busy with? Why weren’t the guilty brought to justice? This is what creates terrorism. People’s opinions will never be uniform. Some people are more predisposed, some less, but the state shouldn’t do so that one wants to become a terrorist’, Mr Pareulidze said. 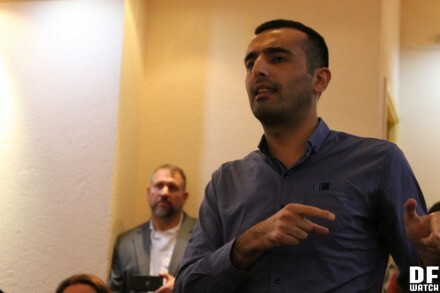 During the question and answer section, Ali Badirov, the chairman of the Association of Azerbaijani Lawyers of Georgia commented that the event was dedicated to Salafi propaganda. He also argued that Salafism was in no way related to Sunnism, contrary to what Mr Pareulidze said at the beginning of his speech. ‘What was being said can be received with peace by society which doesn’t know much about Islam. What you said was a propaganda of Salafism and the people present here should be given a correct view on Islam. Salafism is one and the same as Wahhabism and its followers present themselves from a good side, but Salafism is the beginning of terrorism’, Mr Badirov said. 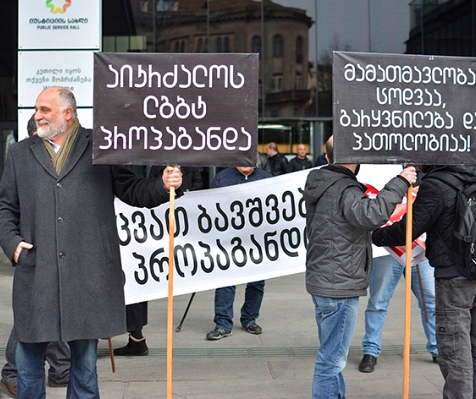 The executive director of Caucasian House, Giorgi Kanashvili pointed out that the organisation’s aim is to give different groups a space where they can explain their standpoints. ‘We can’t speak of propaganda. Caucasian House has always tried to give different groups a possibility to explain their positions, especially marginalised groups. We think that the way to counter terrorism and radicalism is to engage in dialogue’, Mr Kanashvili said. Abdurrahman Pareulidze also denied that the community was involved in sending fighters to Syria, although he later admitted that he thought it was impossible to stop the adults who made a decision to join the insurgency from travelling abroad, while the community was strictly against allowing children to do so without their parents’ approval. ‘We, Salafis, never sent people to fight in Syria. The majority of Georgian fighters in Syria aren’t from Pankisi as well. Many of them are Kists who were living in Europe and Turkey. Probably more fighters came from Achara. Some imams from Georgia’s Board of Muslims went to Syria and event kept receiving salaries when they were there. Does it mean that the Board supported their departure? These people went exclusively to the Islamic State. I want to show that people’s departure can happen without any pressure or agitation; it can be their own decision. The main reason why people choose to go is related to the fact that they don’t have strong and educated religious leaders’, Mr Pareulidze said. Other comments included issues related to gender issues in Islam, the question of openness of the inhabitants of Pankisi valley to work with journalists, especially female journalists, or the negative role of the State Agency for Religious Issues in handling their area of expertise. After the over two-hour long event ended, its organiser, Maia Urushadze told DF Watch that she considered it a success. ‘A dialogue was held with interesting questions asked. The number of visitors also lets us make a conclusion that this issue is very relevant. It is important to give Georgian public, which is mostly Christian, a possibility to speak with Muslims, and not only Salafis’, Ms Urushadze said. Ms Urushadze confirmed that Caucasian House was planning to organise more similar events with representatives of Shia and Sunni Muslim communities. According to the 2014 census, Muslims constituted 10.7% of Georgia’s population. The majority of them resides in Kvemo Kartli, Achara, and Kakheti, where Pankisi valley is located. Kists constitute only 1.4% of Georgia’s Muslim population. Approximately 399 thousand people in Georgia identify as Muslims.